Join us at The Stresshacker and get some much deserved peace into your world. Find ways to feel happier and get back in control of your life. Thanks for joining us here at The Stresshacker. Our team of experts have years of experience, are properly trained and have recognised qualifications to give you tips, tools, guidance and programs that will make a real and rapid difference in your life. You’ll find all the guidance, support, information and powerful hypnosis and yoga audio’s to help you make deep and lasting changes in your life. Enjoy the journey. Discover new ways to improve your life and open new possibilities with The Stresshacker Blog. Shop for online courses, books and downloads ranging from weight loss programmes to relaxation and meditation techniques. Online courses as well as retreats to help you. Freebies available here to help you start your journey. Are you ready to take the wait out of losing weight? Good, then this course is for you. In 6 weeks reap the benefits of losing weight easily and effortlessly. Discover the secrets to easy weight loss. Uncover and rectify your personal stumbling blocks. Get inspired and motivated. Join here to get your program up and running now. Discover ways to stay calm and keep anxiety at bay. If you suffer from General Anxiety Disorder or Panic Attacks you can take back control and start dealing with them now. You’ll find tips and tools for keeping the head trash at bay and shutting down the negative nagger in your mind. In less than a month you could be feeling super confident and ready to go for it… that new job, that change of lifestyle, or take the leap of faith necessary to change your life, in fact any goal you set your mind too. Here you’ll find ways to improve your self-esteem, grow your confidence and get on with living the life you’ve always wanted. Ever wondered why your relationships spiral into a ‘Ground Hog Day’ experience? Find out where your power and control is and how to create healthier and more loving, respectful relationships. Gain psychological insights into your behaviours and that of all your relationships. How do you deal with depression? Find out what others do to combat and manage this condition. Know that your not alone and even ask specific questions on the ‘Ask Sue’ page. Start your journey here with the healing art of yoga. Meditation tips, breath work and simple yoga poses to make life easier for you mentally, emotionally and physically. 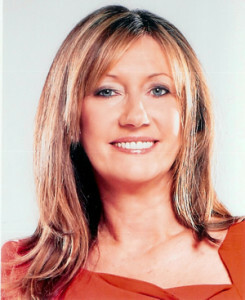 I work as a Psychotherapist, Hypnotherapist, Life Coach and trainer, specialising in Stress Management. I’ve also taught hatha yoga for the past twenty-five years. With over twenty-eight years of experience in helping people overcome addictions, combat stress, develop more self-confidence and discover their inner peace. I have a particular passion for emotional growth work, which includes anger management, anxiety and dumping the FAGS that is, excessive Fear, Anger Guilt and Shame. My site offers mind hacks,information and support programs to help you move toward a better sense of wellbeing. This includes addressing anxiety, panic attacks, depression, weight loss, work, performance issues, relationships and anything else that stresses you out! In addition to my professional experience, I have been on the other side of this and in the past suffered from anxiety, depression and IBS (only it wasn’t called that when I was younger!) I also had a series of illnesses that were directly related to stress including a collapsed lung three times! I have through my own journey recovered from all of these and am probably healthier now than I’ve ever been. I’m really happy to share the tools for change that made my life happier and healthier. Thanks again for a great weekend, always such a pleasure to come to Florence House! The weekend is like a life-retreat for me. 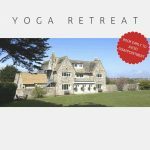 Hours of fantastic yoga, other treats such as the sound bath and Qi Gong, and lets not forget the warm and welcoming house, lovely people, and fantastic food. I look forward to it all year and always go home happy and full of positivity, love and energy. Looking forward to next year! Thank you for another wonderful yoga retreat. I loved every minute of it , I particularly enjoyed the sound bath and chanting. A Sound Bath has been on my ‘to experience’ list for a while now, great to have achieved it. Thank you so much. Sue worked carefully with our individual needs ensuring that we achieved our potential without injury or involvement of the Ego. There was an emphasis on balance and harmony within the body so the sessions included both Yin and Yang Yoga also Pranyama and Yoga Nidra .